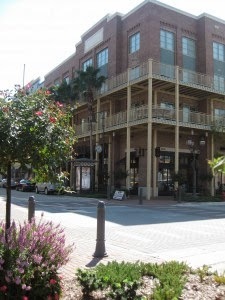 Perkins Rowe is a perfect place to start your holiday shopping! Stores include Z Gallerie, which offers shoppers distinct lifestyle merchandise that promises to add a splash of color, interest and pizzazz to your style! I loved the store’s set up, and the art work and furniture are amazing! Visit Sur La Table, a unique store that offers a wide variety of culinary products and tools from around the world to prepare any cuisine. If you’re shopping for unique fashion and accessories, visit Francesca’s and Charming Charlie! Francesca’s features an eclectic variety of trendy clothing and jewelry. Charming Charlie is overwhelming, in the best way possible. This store is ideal for fashionistas who enjoy a chic boutique-style shopping experience. Also check out White House Black Market, Frock Candy, J. Crew, BCBG and Urban Outfitters. While you’re shopping stop for coffee at Starbucks, grab a couple of drinks at The Grape or enjoy a snack or meal at California Pizza Kitchen or Kona Grill! California Pizza Kitchen has a great menu full of fresh salad and pizza options! Kona offers an assortment of zesty and unique dinner options. If you’re looking for date night options, definitely check out the Texas de Brazil for a one-of-a-kind dining experience! Perkins Rowe also features great art and entertainment events. In the spring and fall, check out Rock ‘n’ Rowe, a live music in the courtyard. Catch movies year-round in the beautiful Cinemark Theater. Also, check out Artist Rowe Shows throughout the year to see some of the area’s most talented artists’ creations. This event features live music, strolling entertainment and kids entertainment!